I am a blogger. I'm a homeschooled daughter of a pastor. My Mom blogs too. Here is a link to her blog. My hobby is beading jewelry. I make earrings, bracelets and necklaces. I like to buy my beads from Titan Beads. They have a wide selection, good quality and wonderful customer service. 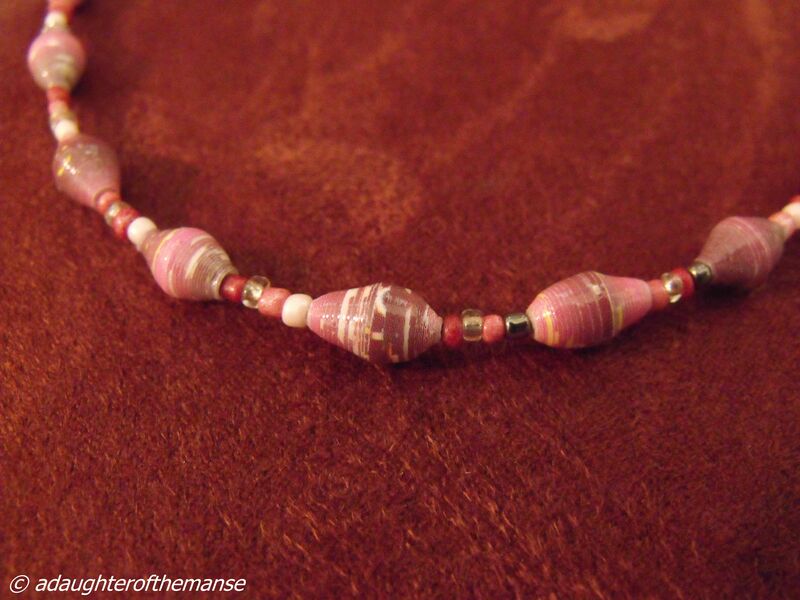 Some of my favorite beads are made abroad. They are colorful and different. 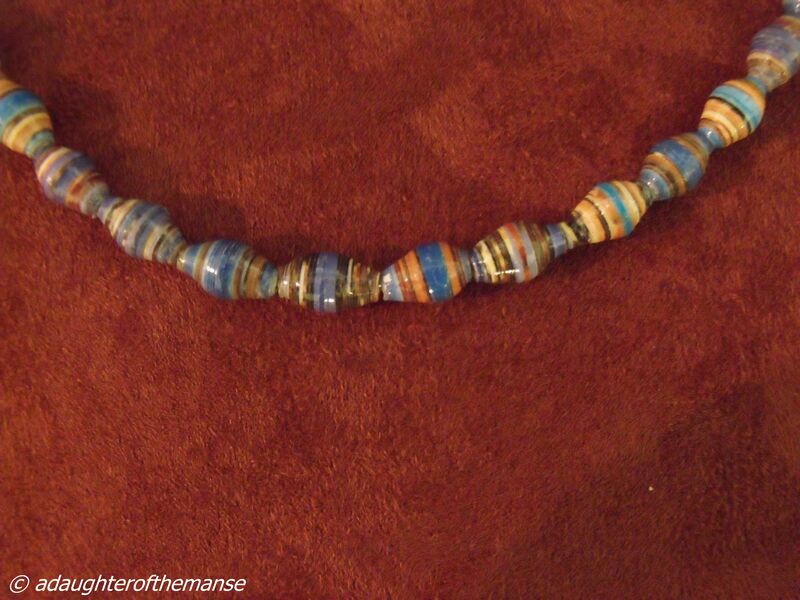 This one is of beads which were hand-rolled and made by African women. 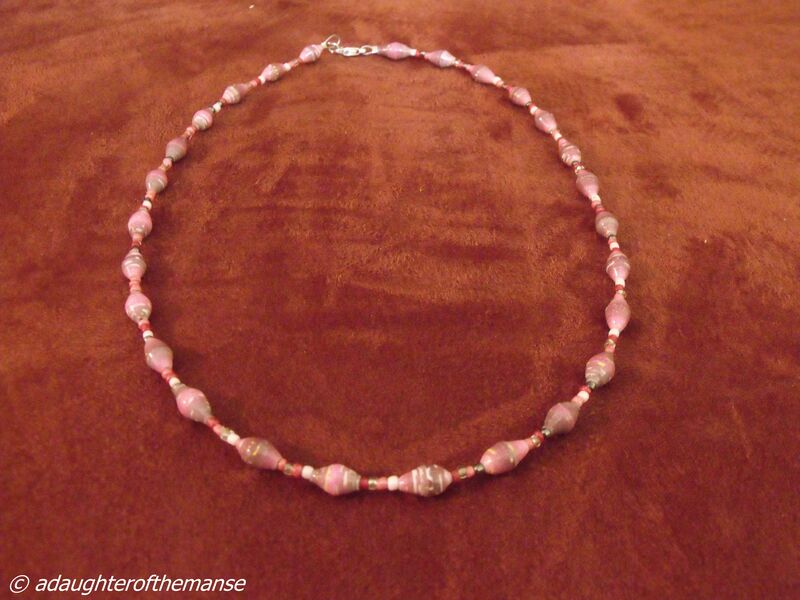 The pink necklace is formed from a mixture of Ugandan beads and seed beads. The seed beads are made in India. 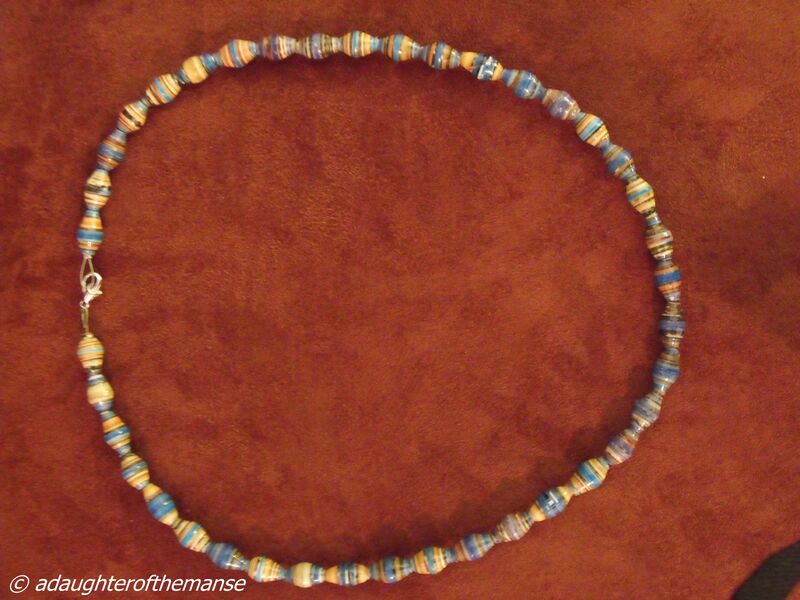 The rice-shaped beads were made in Uganda. Am I your first commenter? I hope you meet lots of friends on this blog. Visit others and comment too.